Beautiful piece, is it supposed to come with a bowl and downstem though? If it was I didn’t get one. 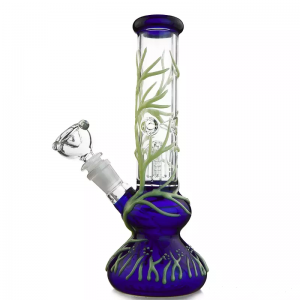 Would be 5 star rating if it came with what was pictured (bowls and downstem in picture) but other than that beautiful and exactly what I wanted and came undamaged pretty quickly. Yes, you should have received one bowl and downstem. I’m just sent you an email to get your order details so I can follow up!